Looking for duct & furnace cleaning services in Elmira? We provide professional duct cleaning, furnace cleaning, dryer vent cleaning and A/C cleaning services to the Elmira, Ontario area. 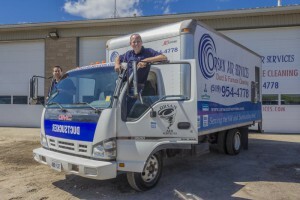 Whatever you need…Orsan Air Services can help! Having your ducts or furnace cleaned by our duct & furnace cleaning professionals can save you money on your monthly energy bills and also greatly improve the quality of the air in your home or workplace.